When I took my niece Jackie to look at colleges in 2005, Raphael met us at the Boston Commons and kept us from getting hopelessly lost. 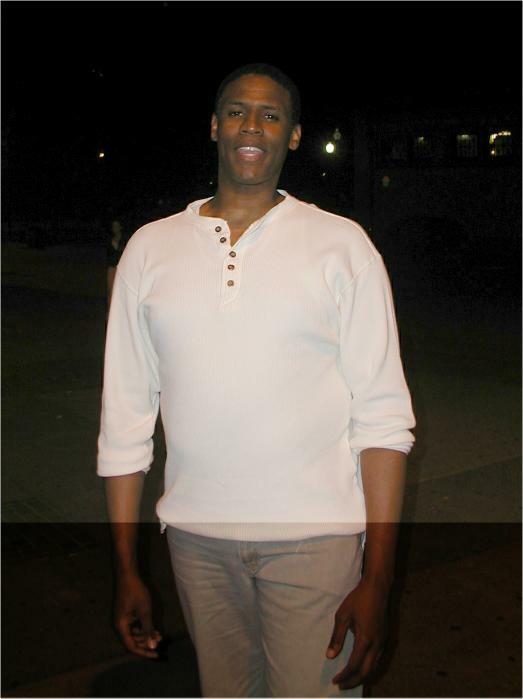 He's one of the many guys who prompted my niece to ask, "How come all the boys you know are so nice?" He and Joshua had some tough choices to make, but Ohio State not only offered a great financial package, but also agreed to recognize their marriage. "I landed a job this summer with Benesch, Freidlander, Copland, & Arnoff. I'll be working here in the Columbus office as a summer clerk for ten weeks. And for the first time since June 2006, I will be earning a salary again. Clearly I'm excited about the opportunity. I know this will be great experience and it's such a rare chance for a 1L so I will definitely make the most of it." 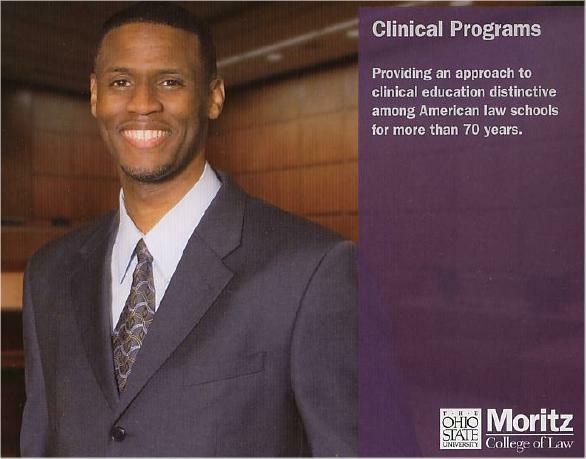 they put him on the cover of the clinical program brochure for 2008-9. 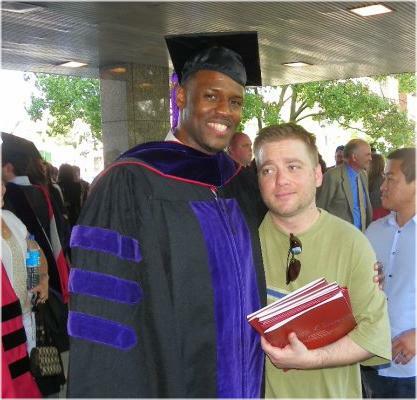 "I found out yesterday that I passed the Ohio bar exam. In all honesty, I could not have accomplished something I've been dreaming about for literally 30 years if it had not been for you. Thank you, from the bottom of my heart, thank you." He also enclosed some graduation photos. I chose to post the one of him with husband Josh. 2017 Update: It seems that Raphael and Josh have made Columbus, OH, their home, where Raphael is working in employment and civil rights law.